I’m distressed to admit that summer must finally be over as the trees drop their leaves in preparation for their winter hibernation. 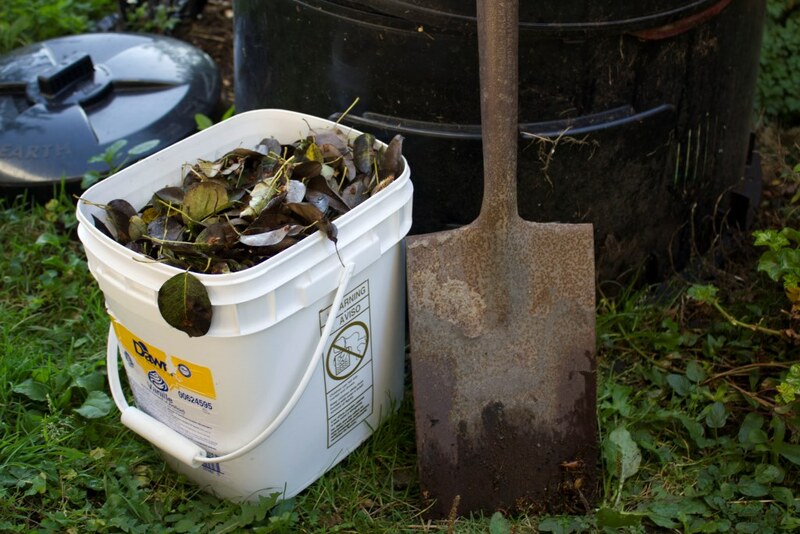 As you scoop those raked piles of leaves into bags, consider how much easier it would be with a square bucket for a scoop! Drag it along the ground to scoop up five gallons of leaves in about two seconds. From there it can go into a larger bin, or better yet a compost pile. Never let a good leaf go to waste! Put those Leaves to Work! Nature intends for autumn leaves to serve as the ultimate mulch. They’re also the best possible carbon source for a compost pile. Most leaves have a carbon to nitrogen ratio of 60:1. That’s on the upper end of the healthy range for good finished compost. 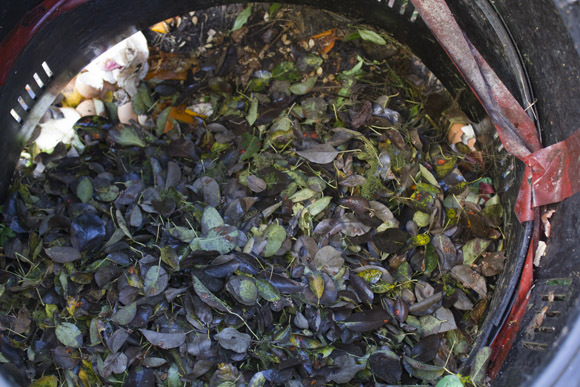 Leaves specifically, and compost in general, will decompose quickest in large piles. You can hurry those piles along even quicker by regularly flipping and stirring them around to introduce more oxygen – just like keeping a healthy campfire. Shoot for a yard of biomass if you can. Laurel leaves are trouble. Many hedges are made of laurel because they lose only a few of their leaves in winter. These buggers come out of year-old compost piles practically still green! A good rule of thumb is to use non-waxy deciduous leaves that have already turned brown. Why do you want to remove the leaves in the first place? They are the perfect protection for your lawn during winter. They work as a natural compost, and they protect the lawn from the cold of the snow. You should try to cover your lawn with leaves, and not remove them.